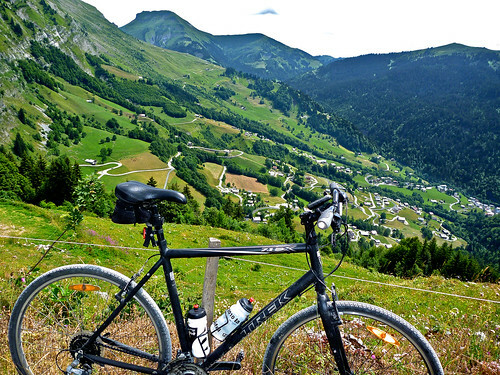 At Col des Aravis begins a terrific farm track all the way to Col de l'Arpettaz roughly 15 kms away. This was the highlight of the ride. 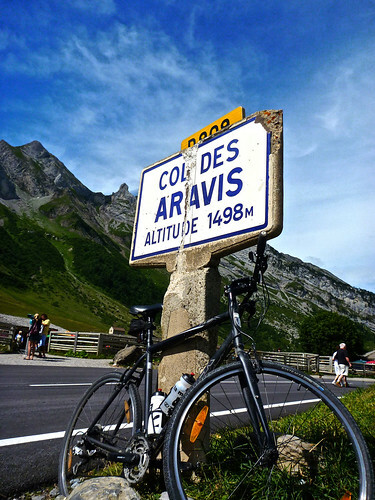 I’ve been at the top of Aravis many times, but realized I had never climbed the south side. I decided to rectify that today. 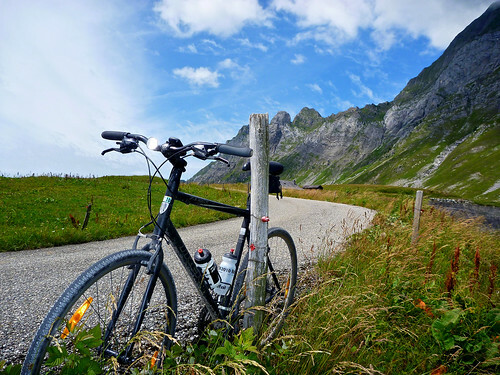 But – to be clear – this was not the highlight of the ride. 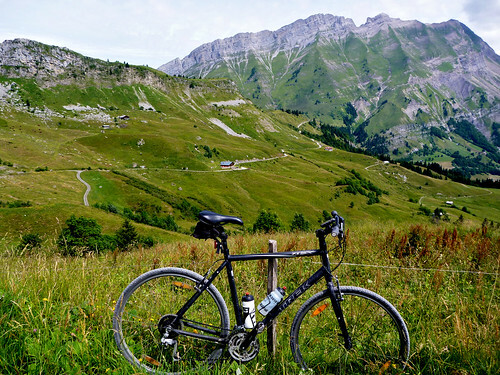 For the north side of Aravis see here. 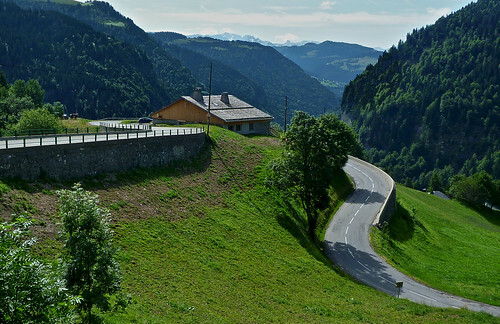 For the amazing hairpins up the steep side of Arpettaz see here. 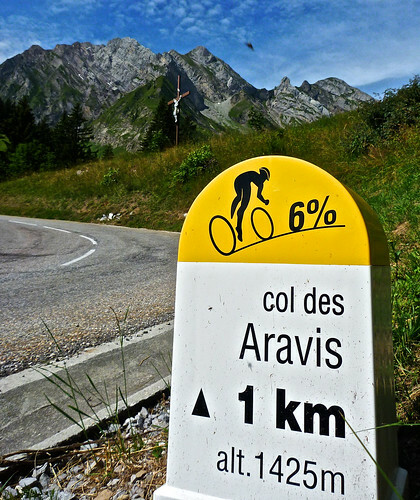 The profile above is just the climb to Aravis. But the route goes a fair bit higher. 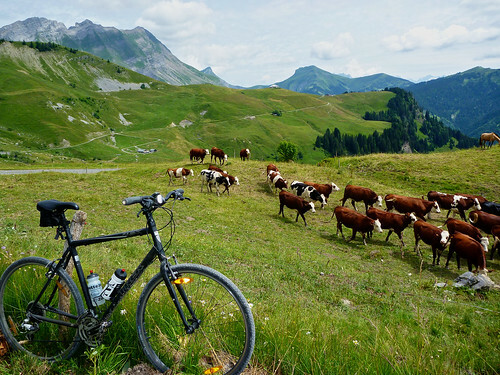 At Col des Aravis begins a terrific farm track all the way to Col de l’Arpettaz roughly 15 kms away. This was the highlight of the ride. 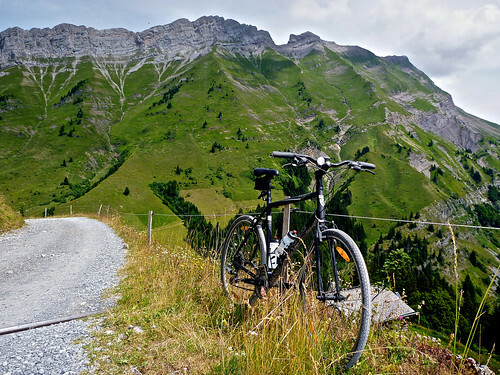 It’s an up and down, bumpy path – it requires a mountain bike – alongside the Aravis alps. 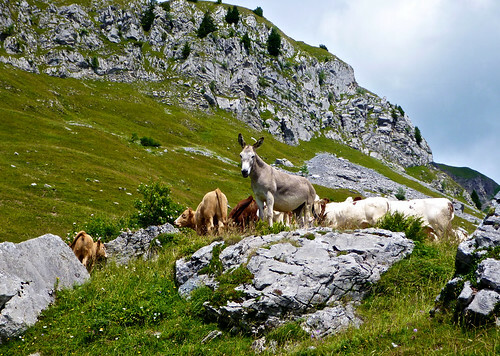 A simply stunning route – with plenty of cows, a few horses, and the odd donkey. 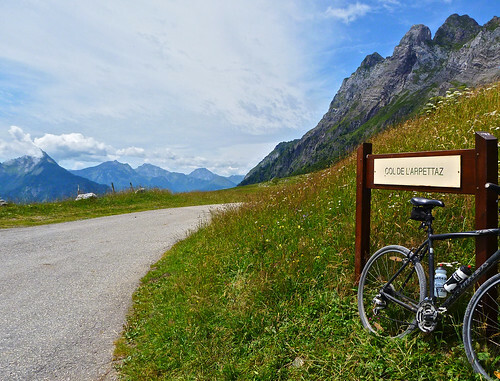 Either direction works for this circuit, but I’d suggest the opposite as the climb to Arpettaz from Flumet is fairly amazing (oops no photos) and has far less traffic than Aravis.